Doris L. Ebert, age 86 of 45 Hemlock St. Clintonville, passed away peacefully at her residence surrounded by her family on Monday morning, January 28, 2019. Doris Louise Korth was born to Martin & Myrtle (Krause) Korth in the Town of Richmond, Shawano County. She was baptized the same day and confirmed on April 14, 1946. Doris went to Shawano High School and after school was united in marriage to Walter Ebert on September 10, 1950. The couple farmed for 40 years and raised their two girls; Barbara & Mary. They retired in 1990 and moved to Clintonville, although they still helped on their daughter and son-in-laws farm occasionally. The couple enjoyed watching their grandchildren and after they were grown, Doris began working at the Clintonville Senior Center and Library for 8 years. 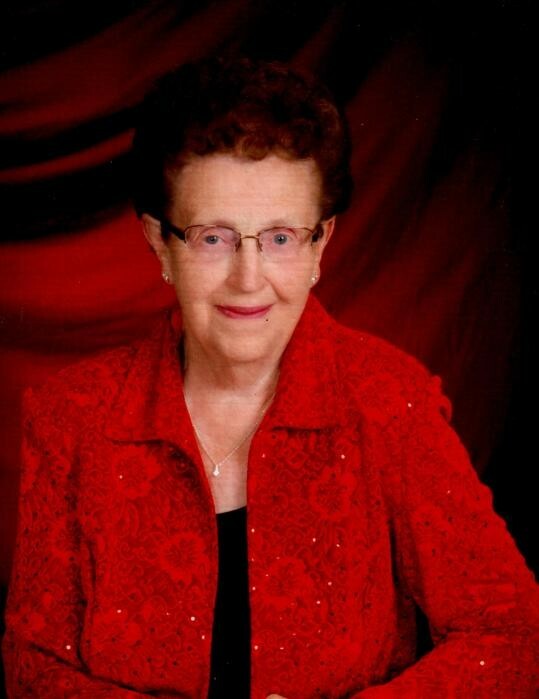 She was a faithful member of St. Martin Lutheran Church in Clintonville where she could often be found helping with soup suppers or funeral luncheons. Doris loved taking walks and had a great love for her garden and flowers. She enjoyed making quilts for her grandchildren, embroidering towels, dancing, traveling, and playing cards with her friends. After Walter passed away on February 3, 2013, Doris got to be very good friends with Jim Moldenhauer who was a lifelong family friend. The couple loved taking trips and spending time together. Doris’ love for her family and Christian leadership will be missed by her family and many friends. Her grandchildren: Dan (Brenda) Schutt, Green Bay, David (Angela) Schutt, Pickett & Dean (Miranda) Schutt, Green Bay, Tara (Joel) Schleis, Oshkosh, Ryan (Rachel) Lohff, Clintonville, and Taylor (special friend Cole Hansen) Lohff, Clintonville. Close Friend & Companion: Jim Moldenhauer, Pella. Doris was preceded in death by her parents, husband Walter, brother Roger (Joan) Korth, and a brother-in-law Harvey (Alice) Ebert, as well as many close friends.